The young mature (medium) biodynamic Demeter cheese is wonderfully full and creamy in taste. This cheese is naturally matured for 8 to 10 weeks. This product is very popular with young and old due to its creamy and full taste. Delicious on a cheese board as a snack and also very tasty in a roll or sandwich. Vegetarian rennet is used during the processing of this Demeter cheese. Vegetarians can also consume this young mature cheese without any worries. In addition, there are no traces of wheat, gluten, peanut or other nuts, which can be useful to know for people with certain allergies. In its natural form, it is recommended to keep the cheese cool at temperatures between 4 and 7 degrees Celsius. The cheese is made with biodynamic milk from farmers who work according to Demeter's standards where animal welfare and the natural cycle are key. 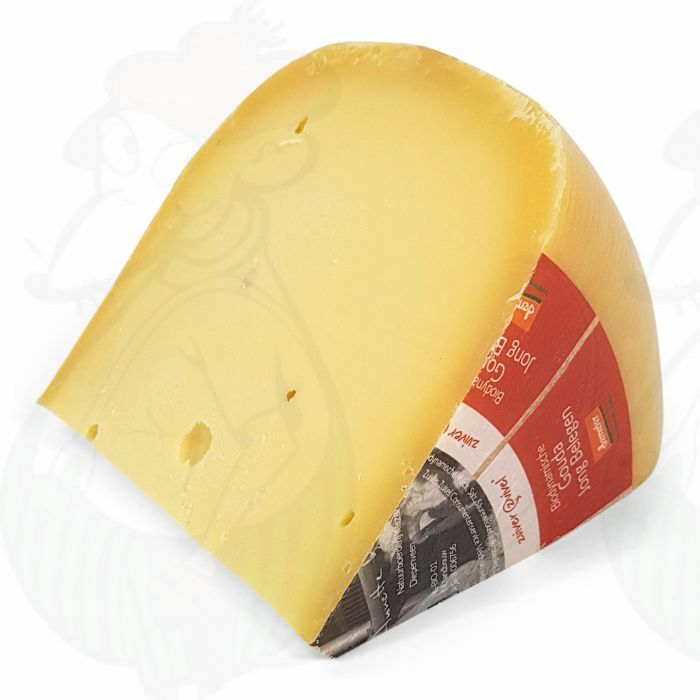 The Gouda Organic biodynamic cheese from Weerribben Zuivel is manufactured without the use of genetically modified organisms. The cheese complies with current European legislation, including with regard to chemical contaminants and residue levels. This cheese is free of artificial colours, natamycin and nitrates.